One man, two bands: Whitesnake and ….. Deep Purple. His name is David Coverdale and the year is 1978, the year after he left Deep Purple and the year of his first album (solo album we should say since the band was basically supporting him) “Snake Bite” that featured the first success of the group with “Ain’t no love in the heart of the city”. 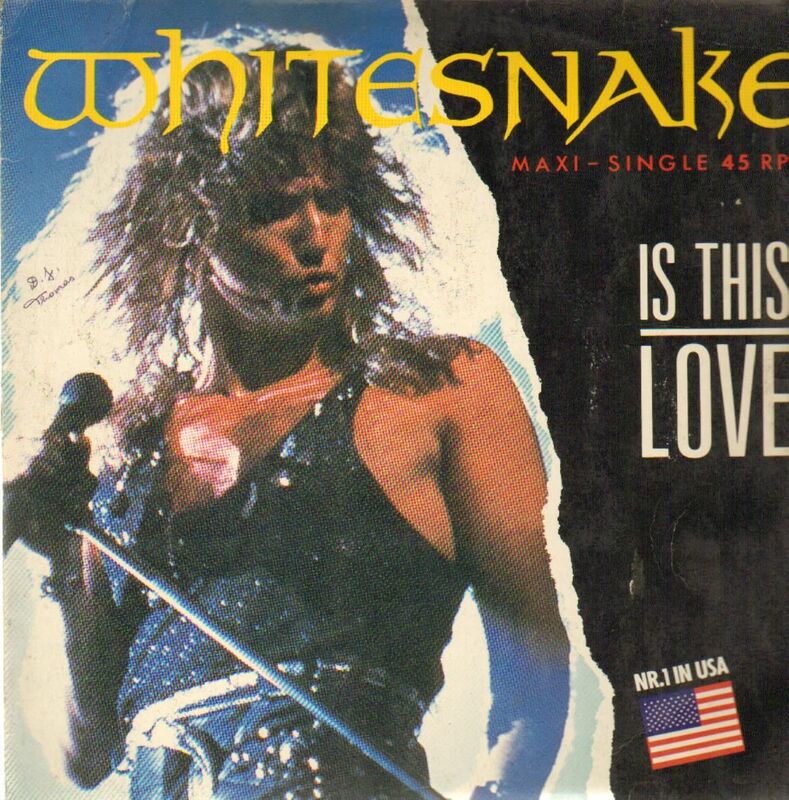 But the biggest success of the band was in 1987 with the self-titled album Whitesnake and three songs that will remain forever like “here I go again” , “Still of the night” and obviously “IS THIS LOVE”. An album that was so successful to reach 6.000.000 copies in US that launched the scene “Hair Metal” (or glam metal or pop metal). A lot of bands can be considered part of it : Poison, Cinderella, Bon Jovi and even Motley Crue. Did you know that “Is this love” was originally written for Tina Turner? Would you have liked it better if she was singing it instead of David? We believe in to the destiny and we like the final version of the WhiteSnake….